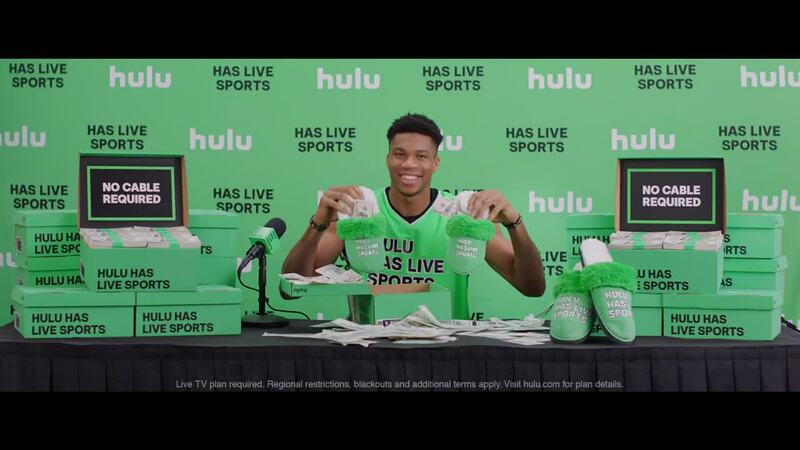 Milwaukee Bucks All-Star Giannis Antetokounmpo is the focus of a new ad in the "Hulu Sellouts" campaign. The ad shows Antetokounmpo contemplating his next slipper deal. "Do I have to wear these out in public?" he asks about a pair of fuzzy green slippers. The "Hulu Sellouts" campaign aims to recognize athletes who are paid large amounts of money to endorse products and often act like that's not the case. The goal is to draw attention to the platform's live TV service, and specifically the sports offerings, hence the phrase "Hulu has live sports" on Giannis' slippers. Video courtesy of Big Family Table, Dave Laden/Hungry Man and Resolution LA.